All FUJINON GF Lenses are dust and weather resistant, built to withstand operation at temperatures as low as 14 degrees Fahrenheit \ -10 degrees Celsius allowing photographers to take them outdoors with confidence in challenging weather conditions. A Fluorine coating applied to the front lens element creates a hydrophobic coating that repels moisture. FUJIFILM GFX 50S medium format mirrorless digital camera that will come with an initial selection of three FUJINON lenses – the GF63mmF2.8 R WR, the GF32-64mmF4 R LM WR, and the GF120mmF4 R LM OIS WR Macro. These lenses encapsulate the design philosophy of FUJINON lenses that are renowned by photographers around the world. 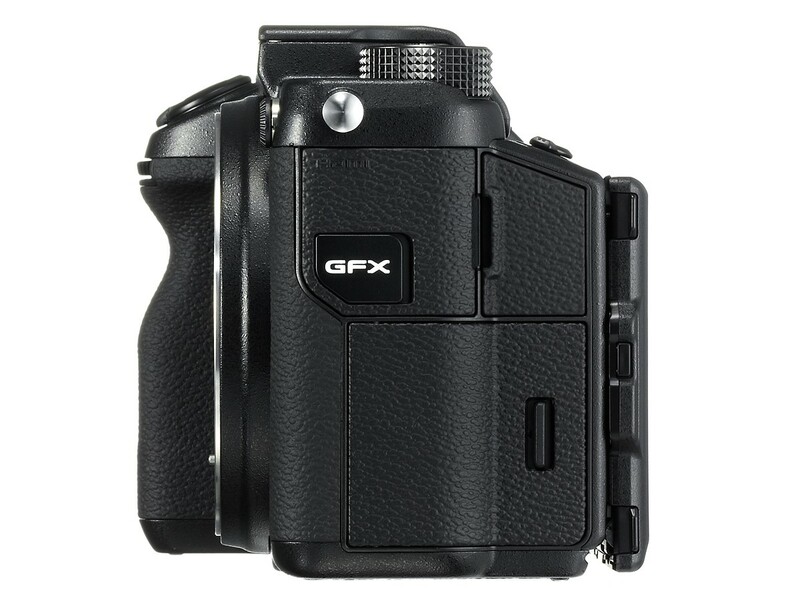 The innovative GFX system utilizes a Fujifilm exclusive 43.8 x 32.9mm (FUJIFILM G Format) 51.4MP CMOS sensor. The GFX 50S combines the heritage of over 80 years of imaging and the innovative award-winning functional design of our X Series digital camera system in the relentless pursuit of image quality. 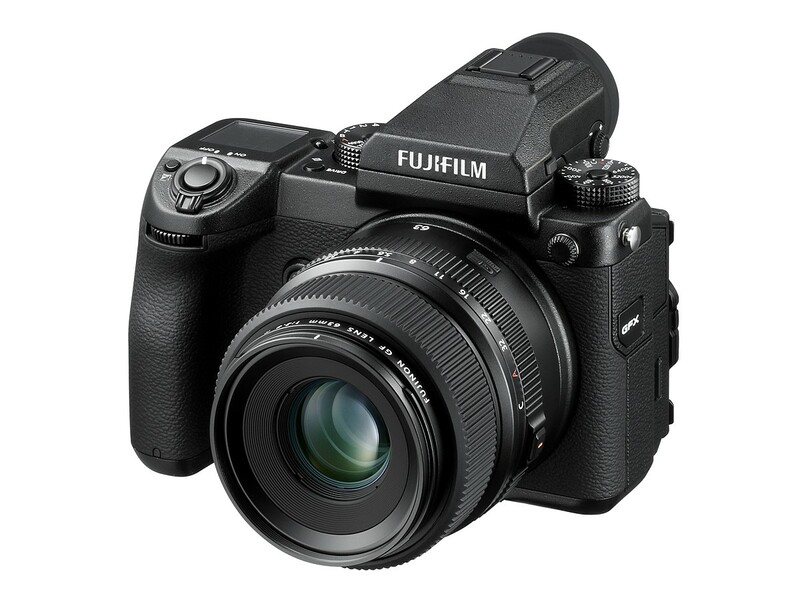 The FUJIFILM GFX 50S mirrorless digital camera uses the new 51.4MP FUJIFILM G Format 43.8 x 32.9mm sensor with approximately 1.7x the area of a 35mm sensor. In addition to the camera are three new FUJINON GF Lenses that will be followed by three additional lenses later in 2017. The GFX 50S 51.4MP sensor shows its true potential when making large format prints, capturing majestic landscape photos or reproducing historical documents. Compared to a full size sensor with equivalent megapixels, both resolution and sensitivity are dramatically better due to the larger size of each pixel. As a result, the sensor captures great textures and subtlety of tone that is unique to large size sensors. The texture and tone combine to give a unique three-dimensional effect creating extremely high quality photography. Images captured can be reproduced down to the smallest detail, conveying the texture of the subject, a three-dimensional feeling, and the atmosphere of the scene. For flash photography in the studio or outdoors during the day, the GFX 50S sensor has a native ISO of 100. The sensor can also be adapted to various aspect ratios, including 4:3, 3:2, 16:9, 1:1, 65:24, 5:4, 7:6, all of which are available in large and medium format film cameras. 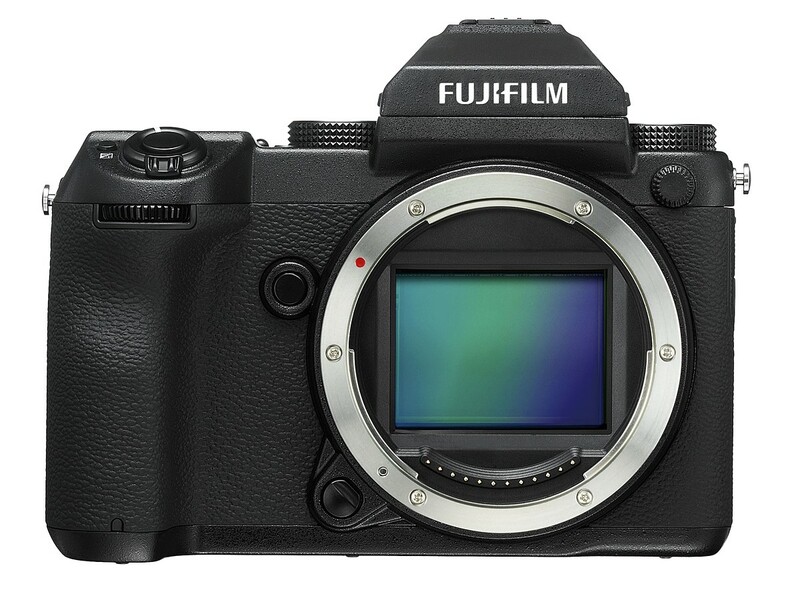 The FUJIFILM GFX 50S uses the X Processor Pro (also used in the X-Pro2 and X-T2 cameras) and allows photographers to use Fujifilm’s proprietary Film Simulations with a Medium Format sensor. The camera supports Full HD recording at 29.97p/25p/24p/23.98p. Users can enjoy high quality video with no post-processing required by using Film Simulation modes just like they would with a still image. The GFX 50S introduces a new Color Chrome Effect feature that reproduces subtle tones in highly saturated subjects. 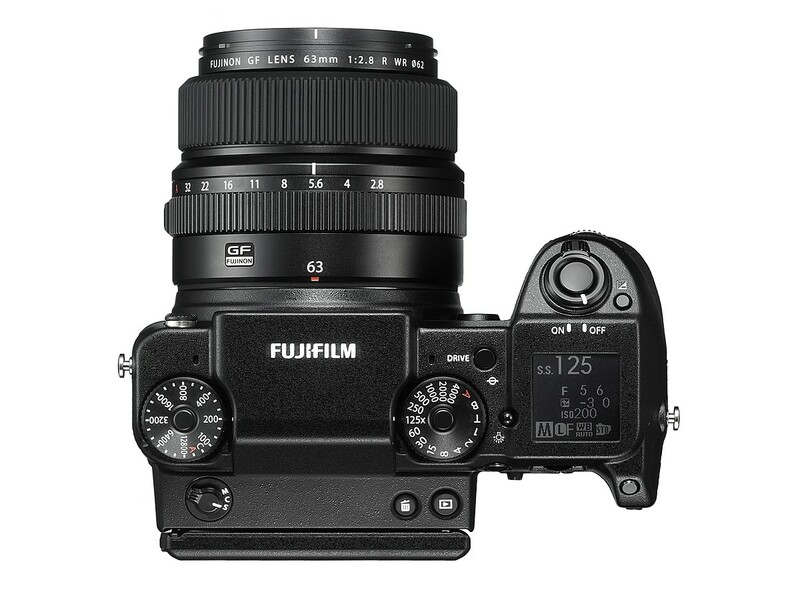 With a compact and lightweight body constructed from magnesium alloy, the FUJIFILM GFX 50S weighs approximately 43 ounces when paired with the FUJINON GF63mmF2.8 R WR, and weighs approximately 60% of a medium format DSLR camera equipped with a sensor of the same size. When compared to a full frame, the weight is almost identical. Overall camera body height and width have also been minimized for maximum flexibility, overturning the common perceptions regarding the mobility of medium format digital cameras. 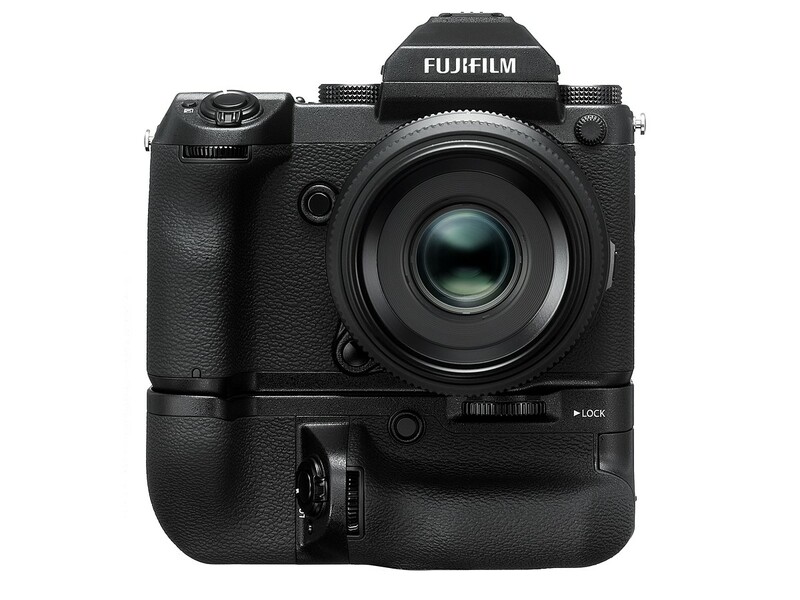 The FUJIFILM GFX 50S gives users a 3.69M dot organic EL electronic viewfinder and 2.36M dot touchscreen LCD back panel for easy viewing. The EVF is detachable to allow for flexible operation. Users can attach the accessory EVF-TL1 EVF tilt adapter (sold separately) to allow the finder to be tilted to 90° vertically and swung ±45°. A 3.2 inch, 2.36M dot touch panel is used for the rear monitor, with touch operation for the menu, focusing points and image playback. A three-directional tilting LCD screen improves operability and makes viewing images and checking focus even easier. As part of the GFX system, Fujifilm is launching newly developed, ultra-high resolution FUJINON GF lenses. Taking advantage of the mirrorless system’s structure, the G Mount has a short flange back distance of just 26.7mm that reduces the back focus distance as much as possible. This prevents vignetting and achieves edge-to-edge sharpness. All FUJINON GF Lenses have been designed to support sensors of over 100MP. GFX lens barrels feature an aperture ring in the same manner as FUJINON XF lenses, for intuitive operation. A new C (Command) Position has been added to the aperture ring, allowing users to change the aperture with the camera’s command dial. The A (Auto) Position and C Position feature a locking button installed on the aperture ring that must be disabled to implement changes. 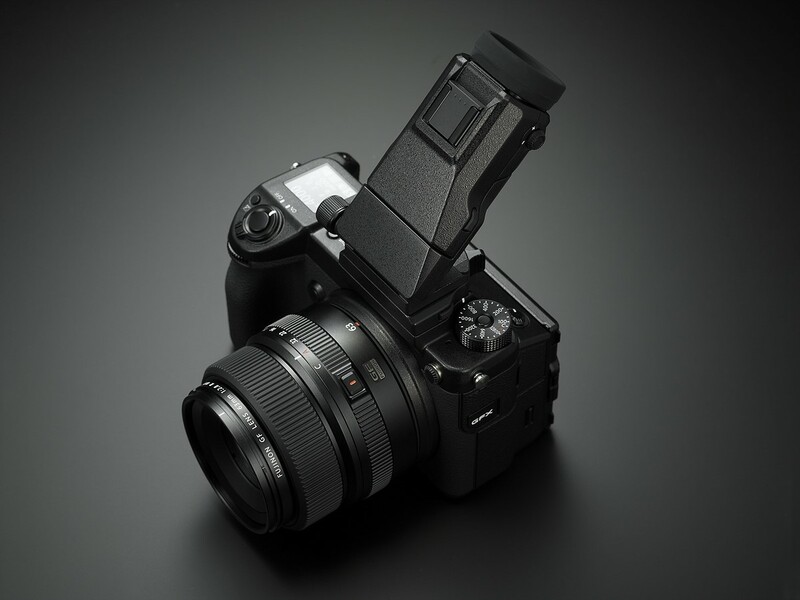 Just as with the flagship X Series models, the FUJIFILM GFX 50S features dedicated dials to independently set aperture, shutter speed, and ISO, the important factors in determining exposure. Aperture and ISO feature a C (Command) and the shutter speed dial has a T (Time) Position. Setting the dial to this position allows the user to change exposure settings using the command dials on the front and rear of the camera body. The user can choose between these two operation methods according to their preference, ease of use, and the shooting environment. The GFX 50S is equipped with a 1.28 inch LCD sub monitor on the top of the body. Important exposure data such as aperture and shutter speed is displayed on this screen. This display is extremely useful when shooting on a tripod or tethered to a computer. 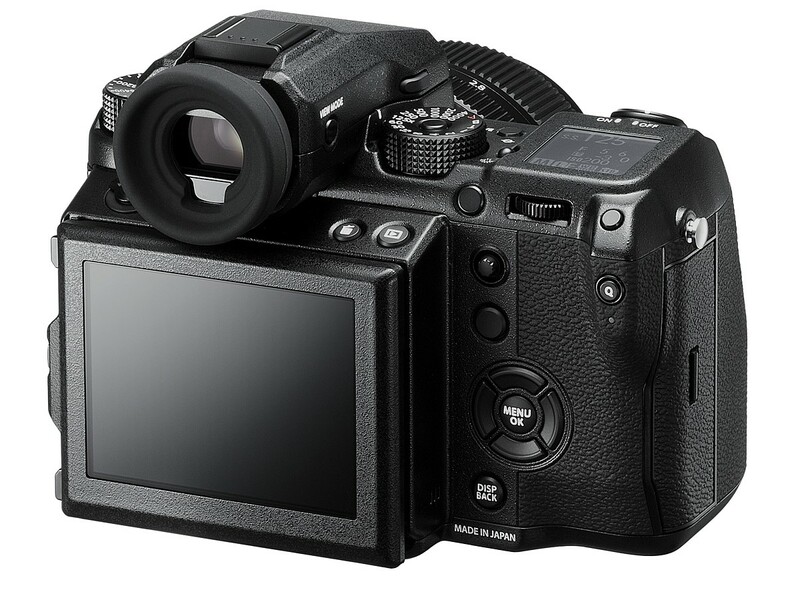 A 117-point (9 x 13 / maximum of 425 points when miniaturized) contrast AF system is used on the GFX 50S. High-precision AF on the imaging sensor dramatically improves focusing accuracy with the shallow depth of field produced by medium format lenses. First adopted in the FUJIFILM X-Pro2, focus point selection can be performed by using the Focus Lever, which allows intuitive movement of the focus point. Alternatively, users can select the focus point from the touch panel LCD screen. The optical system features a construction of 8 groups and 10 elements, including 1 ED lens element. This lens construction is the most suitable for high resolution in compact and stylish design, the external form of this small and lightweight lens has a diameter of just 84.0 x 71.0mm with a weight of only 14.2 ounces \ 405 grams. Using the front group for the focus, aberrations due to focus distance are suppressed, achieving high resolution performance even when wide open from the center to the edges of the lens. The FUJINON GF32-64mmF4 R LM WR features a construction of 11 groups and 14 elements, 3 aspheric elements, 1 ED lens and 1 super ED lens, allowing this lens to achieve image quality rivalling prime lenses. As a result, the lens demonstrates extremely high performance from the center all the way to the edges. The lens uses internal focusing, reducing the weight of the focus lens and achieving fast and silent AF by driving focus using a linear motor. The FUJINON GF120mmF4 R LM OIS WR Macro has a construction of 9 groups and 14 elements, including 3 ED lens elements. By adopting a floating focus method using a linear motor, silent high-speed autofocusing is achieved while aberrations are corrected, dramatically increasing the resolution. Furthermore, by arranging the ED lenses properly, chromatic aberrations are also properly corrected, contributing to high quality images. In designing this lens the quality of the out of focus area both in front and behind the plane of focus were considered, giving this lens beautiful bokeh. This lens is equipped with optical image stabilization (OIS) effective up to 5.0-stops, making this lens perfect for handheld shooting in low-light situations. Vertical Battery Grip VG-GFX1 – high-performance battery grip is designed to place the release button, dials, and function buttons in the same positions when shooting vertically. The battery grip can be loaded with one NP-T125 dedicated battery, lowering the frequency that batteries need replacing. Also, by connecting the AC-15V accessory (sold separately), it is possible to charge the battery within the grip in approximately 2 hours. EVF Tilt Adapter EVF-TL1 – mounting this accessory between the camera body and EVF, the angle of the EVF can be changed to angles from 0°〜90° vertically and from -45°〜+45° horizontally. Doing this allows the user to shoot at various angles while using the viewfinder, greatly increasing the versatility of the finder for different subjects. H Mount Adapter G – allows you to use SUPER EBC FUJINON HC interchangeable lenses developed for the FUJIFILM GX645AF medium format film camera (discontinued). By attaching this adapter to the GFX 50S, a total of 9 SUPER EBC FUJINON HC interchangeable lenses and 1 tele-converter developed for the GX645AF can be used. While the focusing method will be limited to manual focusing, the lens aperture can be changed using the command dial on the camera body, and shooting with the leaf shutter built in to the lenses is also possible. Using this lens shutter will allow high speed flash synchronization up to a maximum speed of 1/800 sec.Also, the adapter is equipped with electrical contacts that can communicate with the camera body, independently creating, saving, and applying correctional data for each lens. The adapter supports Manual and Aperture Priority AE exposure modes. *A removable tripod foot is included to mount the camera with a heavy or long focal length lens. 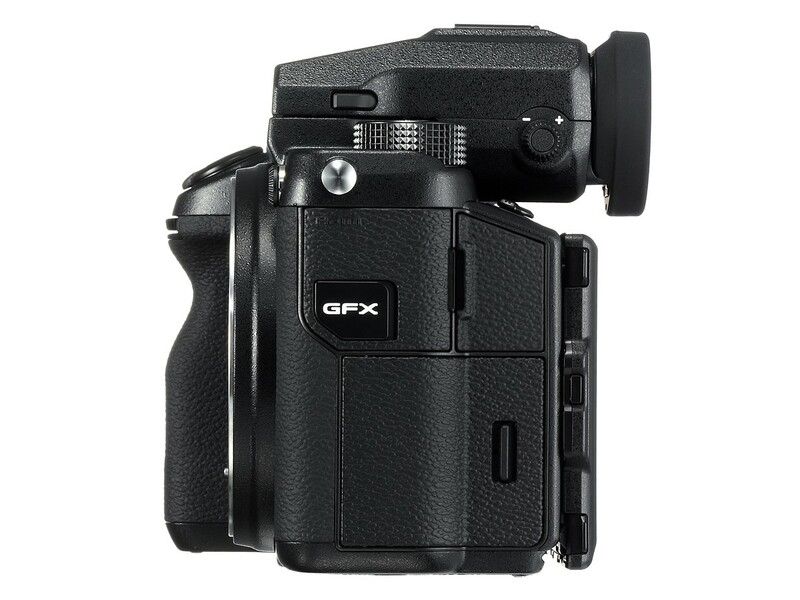 View Camera Adapter G – allows the GFX 50S to be used as a digital back. The view camera adapter allows the GFX 50S to be mounted to the standard universal-type back of a view camera. This allows the use of FUJINON large format camera lenses, such as the CM-W FUJINON lens series. The camera or lens shutter can be triggered, allowing the user to choose the optimum method. The large image circle and the bellows of the view camera can be used with tilt, shift and swing movements, effective for product and architectural photography. *There may be instances in which the adapter cannot be mounted depending on the shape of the view camera. Tethered Shooting Solutions – We have the following tethering solutions for photographers, including: X Acquire to transfer images from the camera to a hot folder on your computer for use with your preferred imaging software, Tether Shooting Plug-in PRO for Adobe® Photoshop® Lightroom® and HS-V5 for Windows (sold separately).By connecting the GFX 50S to a PC via USB cable and using this software, it is possible to transfer photographed images directly to the PC, as well as control the camera from the PC. Also, by using the Control Panel Window newly added to Tether Shooting Plug-in PRO for Adobe® Photoshop® Lightroom®, additional camera functions become available. RAW FILE CONVERTER EX2.0 – powered by SILKYPIX (free of charge) RAW development software and Adobe® Photoshop® Lightroom® / Adobe® Photoshop® CC (sold separately). RAW development software is used for detailed corrections and advanced image processing that isn’t supported by the in-camera RAW conversion. Both software support Fujifilm’s “Film Simulation” modes, allowing creation of image data that is extremely close to Fujifilm’s advanced color reproduction.